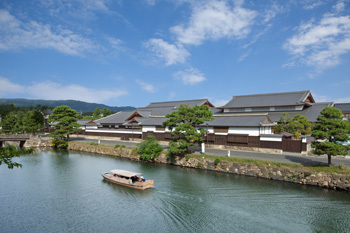 Matsue"- Little Kyoto" SUBPAGE | All Japan Kyoto Association"
Matsue is a castle town with a settled atmosphere along with its attractive history and highly developed culture. The city is surrounded by Lake Shinji, the Ohashi River and Hori-wari, a special kind of channel. The town is especially well known for its beautiful sunsets in each season, reflected on the surface of Lake Shinji in different colors. 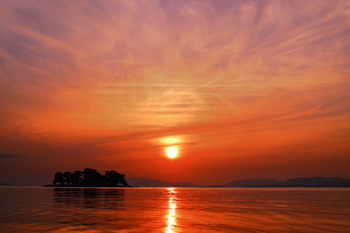 Other signs of Matsue’s attractiveness can be found in its Onsen hot springs along Lake Shinji. The city was loved by the great English writer, Yakumo Koizumi, also known as Lafcadio Hearn and is home to abundant myths and historical sites where the ancient Izumo culture was born. It is also famous for matcha green tea and Japanese confectionery, and is a city with many delicious foods, including the seven delicacies of Lake Shinji. 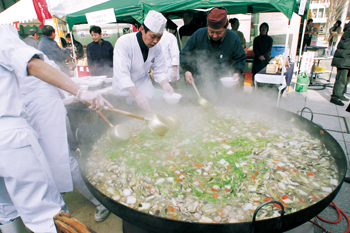 Matsue’s specialties are Shijimi freshwater clam, Izumo Soba noodles, Ago-noyaki, Tsuda Kabuzuke pickles, many kinds of locally brewed sake and winter crab. The castle was built in 1611. 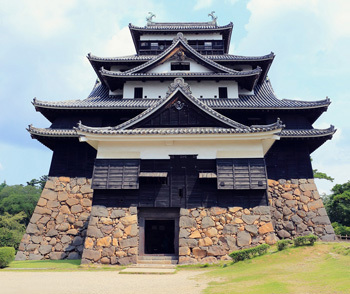 It is one of the twelve existing castle towers in Japan and was designated as a national treasure in July 2015. 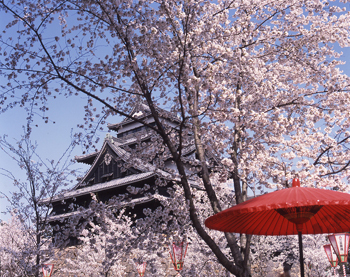 Visitors can learn about the history and culture of Matsue through various exhibits. 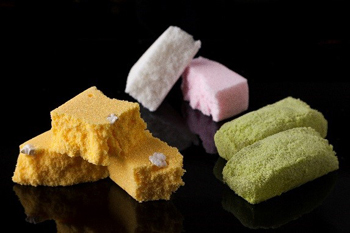 Enjoy some time at the cafe looking at the Japanese garden while savoring a Japanese sweet. This is Matsudaira, a feudal lord of Matsue’s family temple. 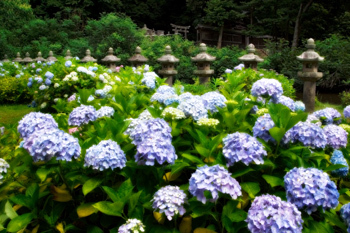 The temple is famous for its Byo-mon gate and colorful hydrangeas. 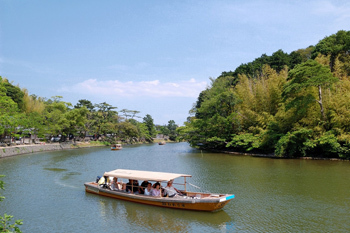 This is a fun boat ride which circles around Matsue Castle. A thrilling ride goes under the bridge. During the winter, nice kotatsu (table with an electric heater underneath and covered by a quilt) will be set on the boat. 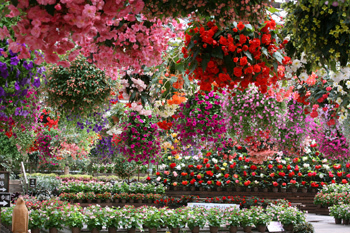 A theme park featuring flowers and birds. Also, home to the world’s largest conservatory and about 2,000 to 3,000 birds can be observed. This spot was selected as one of the 100 Best Sunset Spots in Japan. Enjoy the gorgeous sunset scenery which changes from moment to moment. Visitors are able to savor fresh local cuisine and foods that are locally raised and also can learn about the food culture of Matsue. This cherry blossom festival is held at the site chosen as one of the 100 Best Cherry Blossom Spots in Japan and its night-time light up is just gorgeous. 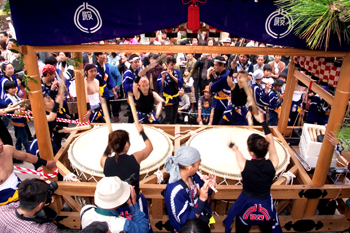 On Saturday and Sunday of the festival week, a Japanese traditional music concert, traditional dance and Yasugi folk song will be performed. 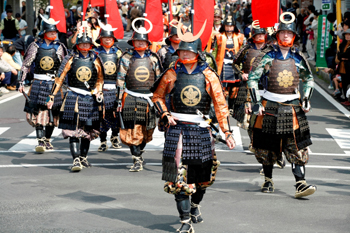 This is a gorgeous historical procession which recreates the scene when Yoshiharu Horio, the founder of Matsue, and his party entered Matsue Castle. A ceremony in which people show their gratitude to used chasen bamboo tea whisks. 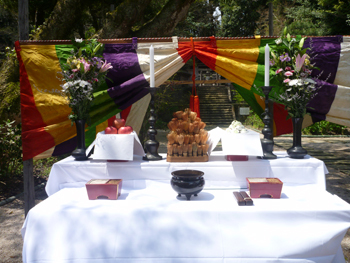 Children’s parade and tea ceremony are scheduled to be held. This is a festival which is held at the No. 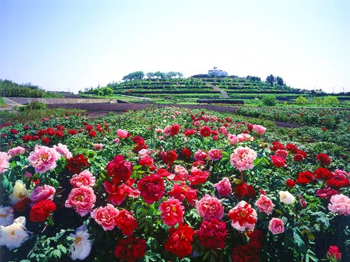 1 peony island in Japan. Vivid colored peonies will bloom all together beautifully. 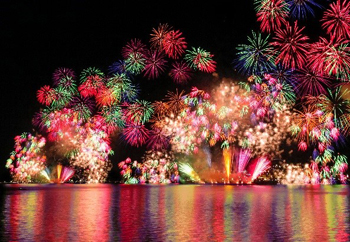 This firework festival held above the lake is the biggest one in the Sanin area. All the surroundings of the lake become observatory seating. A number of special stage performances will be also held. 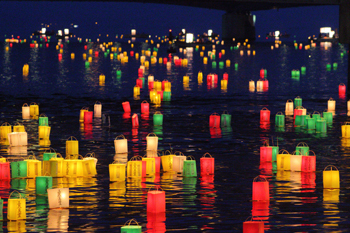 From Lake Shinji to the Ohashi River, a couple of thousand Toro paper lanterns are floated down river while Buddhist sutras are being recited, creating a very mystical scene. 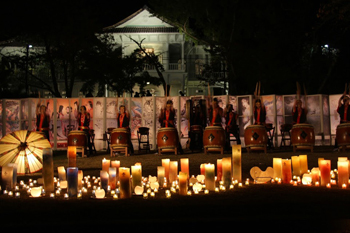 The area surrounding Matsue Castle will be lit up. This is the highlight of the city’s autumn event at which people can enjoy the fantastical scenery woven by light and shadow. 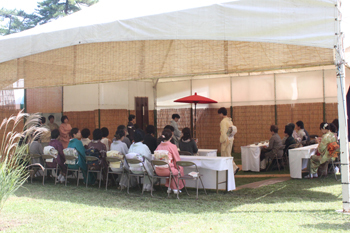 This is one of the three biggest tea ceremonies in Japan with more than 10 tea schools attending during the two days. Demonstration of preparing matcha, sencha and English tea will be shown, too. 2 to 3 huge Wadaiko Japanese drums are put on a stand and played by children along with the sound of Japanese flute and bell. The procession is 700 meters long which makes an amusing scenery. This exhibition has a history of half a century. 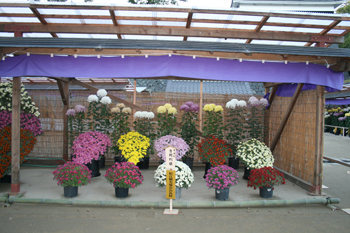 A total of 600 pots from large chrysanthemum, small chrysanthemum in Bonsai shape, to Kengai chrysanthemum, will be exhibited. 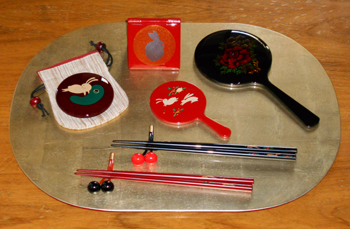 This is a traditional craft which was invented by lacquerware artisans appointed by the lord of Matsue. Their beauty increases the longer they are used and the lacquer becomes splendid. One of the most renowned pottery kilns with more than 300 years of history. It still makes excellent tea ceremony utensils. 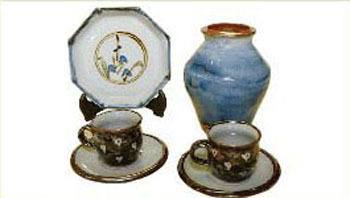 Sodeshi-yaki pottery has been succeeded since 1877. It makes dishes and flower vases for daily use. A pottery painting experience is available. 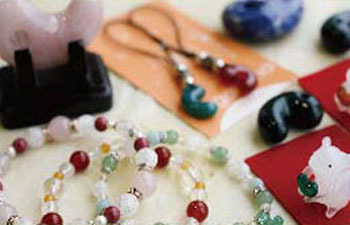 In ancient times, agate was worshipped as a sacred item and their gleam still attracts people nowadays. 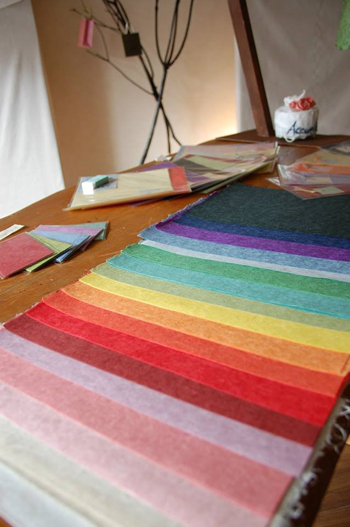 There are many color variations such as blue and red shades. This is a Japanese doll made of washi paper whose tradition has been passed down from the Edo period. The doll has a simple and warm taste. There are three different hair styles: Shimada, Momo-ware and Okappa. 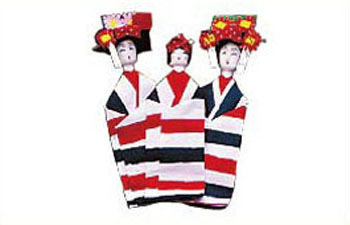 The Living National Treasure, Eishiro Abe, has revived this folk-art paper of Izumo by mixing the traditional technique and modern essence. The town has many kinds of traditional Japanese confectioneries which were cherished by Fumai Matsudaira, the domain lord of Matsue, also known as a great tea master. 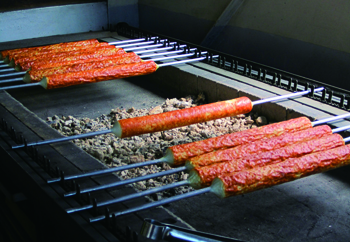 This is one of the popular local delicacies, in which the fresh Tobiuo flying fish is minced and local sake is added for flavor, then it is grilled on charcoal. 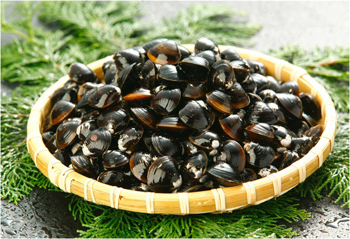 This is one of the seven delicacies caught in Lake Shinji. It is preferred for its delicious flavor the secret of which is the lake’s brackish water. Fishermen go out to catch clams in the early morning creating an idyllic scene with many boats floating on the lake. Because the soft outer skin of the grain of buckwheat is milled together, Izumo Soba noodles have a dark black color, strong aroma and rich taste. 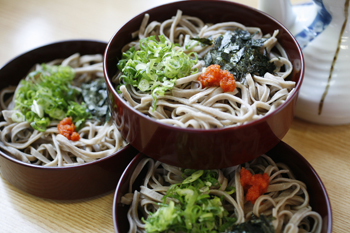 The Warigo-soba is served in the three bowls and is the most popular one in Izumo. Matsue is one of the well-known tea production areas in Japan and there are many traditional tea shops in the town. 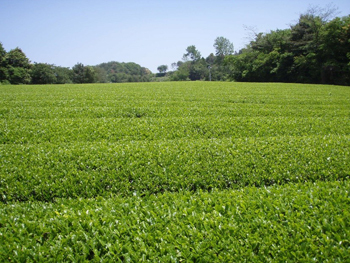 Its characteristic is that the tea in Matsue has a rich taste and aroma even for the second and third cup. People in Matsue drink matcha on a daily basis. 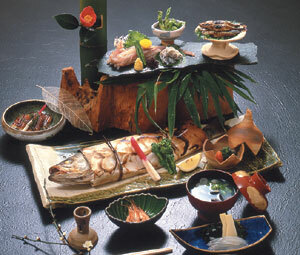 The seven delicacies among seafood that are caught in the brackish-water of Lake Shinji are: Suzuki Japanese seaperch, Moroge-Ebi shrimp, Unagi eel, Ama-sagi, Shira-uo, Koi Japanese carp and Shijimi freshwater clam.